Monica Trinidad: What Exactly Are You Sorry For? 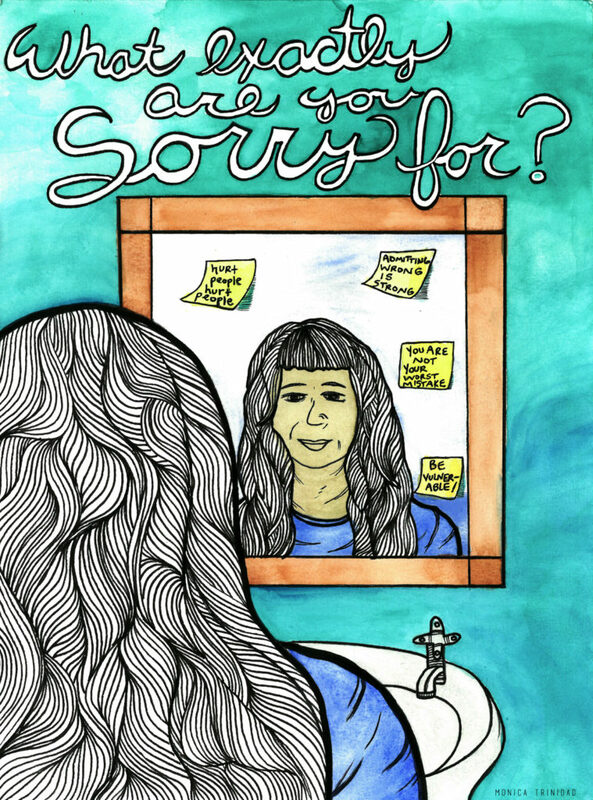 “What exactly are you sorry for?” This poster is by Chicago-based artist Monica Trinidad. Monica’s work can be found at http://www.monicatrinidad.com.